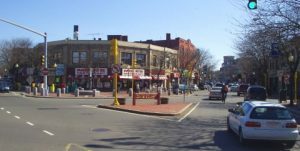 A small city just outside of Boston, Somerville is a beautiful place to work, live, and enjoy friends and family. Despite the diversity that this city has to offer, tragic accidents – just like those in every other city in the U.S. – do happen. When a tragic accident that results in death occurs that was caused by the actions of another person, though, the family of the deceased has a right to file a lawsuit for wrongful death damages. If you’ve lost a loved one, Somerville law firm Burns & Jain can help you to file a wrongful death suit for damages. Massachusetts General Laws, Chapter 229, Section II, defines the circumstances in which a person can rightfully file a wrongful death lawsuit for damages as being: “…such circumstances that the deceased could have recovered damages for personal injuries if his death had not resulted…” In other words, if a person’s negligent actions (or wanton and intentional acts) cause the death of a person, then a wrongful death claim for damages can be filed. In order for damages to be awarded, the family of the victim will have to prove that the defendant acted negligently or intentionally, and that these actions were the direct cause of death for the deceased. Who can file a wrongful death lawsuit in Massachusetts? According to the same statute mentioned above, a wrongful death lawsuit must be filed by the executor or administrator of the deceased. An executor is the person named in a will, an administrator is the court appointed representative when there is no will. There is a host of requirements for a wrongful death case, so it is advisable for the victim’s family to retain an experienced wrongful death lawyer as soon as possible. In most instances, a wrongful death suit for damages must be filed within three years of the deceased’s time of time; otherwise, the right to reclaim benefits may be denied. Again, only the executor or the administrator can file a claim on behalf of a deceased for wrongful death. Somerville is in Middlesex County so the process would start with a probate filing in the Middlesex Probate Court in Cambridge. In Massachusetts, those filing a wrongful death lawsuit may be able to recover damages for the deceased’s lost wages, medical and funeral expenses, and non-economic damages, such as the value of companionship the deceased provided. If, prior to death, there was pain and suffering, a claim for that is viable as well. If you need to recover damages to help you during this time of need, call the attorneys at the Law Offices of Burns & Jain today. Our legal team is passionate about making sure that you and your family recover the compensation amounts you deserve. To talk with us today, call us now for a free consultation with an attorney at 612-227-7423.